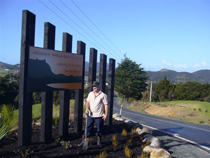 Most people who live in Whangarei Heads are passionate about the beautiful environment of this peninsula. 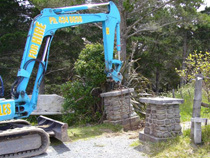 The team at Manaia Excavators Ltd often join forces with other hardworking volunteers to help contribute to the community and environment of Whangarei Heads. We are also proud supporters of the Backyard Kiwi Project. Click on the link to view their website and the great work they do. 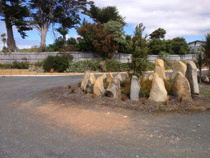 Parua Bay Community HallA Rock Cairn at the carpark entrance. Welcome to Parua BayPart of the team of volunteers. 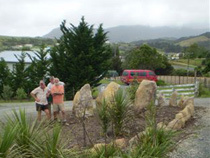 The Landscaping Team!The volunteers admire the results.